Click the button below to add the Reclaiming the Atonement, Volume 1: The Incarnate Word (ebook) to your wish list. In response to popular demand, Fr. Patrick Reardon presents the first of three volumes exploring redemption and salvation through the lens of Scripture, patristics, and liturgics, as well as through history, philosophy, language, literature, and psychology. He brings all these perspectives together to show how the whole of Christ’s work—from Incarnation to Ascension—accomplishes the “at-one-ment” of God with man. This book should be required reading for all Evangelicals, like myself, who tend to gravitate uncritically toward sola scriptura. While paying close and reverent attention to every etymological and syntactical nuance in the original Greek and Latin of the Bible, Reardon is careful to inscribe his analysis of orthodox theology within the sacramental life of the Church, the writings of the Fathers, and the dynamic conversation between the Testaments and the faithful. 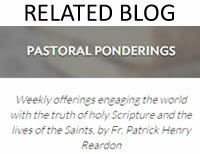 Father Patrick Henry Reardon offers an exegetical tour de force in this reconsideration of the atonement. It was a thorough and complete delight to ponder and ingest. I am confident it will find a delighted reception even beyond an Orthodox readership among all those who love and treasure the Sacred Scriptures. A thorough analysis of a neglected issue. Though atonement and redemption were not neglected in the Patristic Period, they have not settled as profoundly as most Eastern Orthodox theological points. 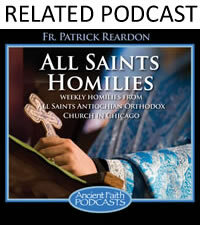 Patrick Henry Reardon is pastor of All Saints’ Orthodox Church in Chicago and senior editor at Touchstone where he has written brilliantly on many theological and ethical issues. Reclaiming the Atonement: An Orthodox Theology of Redemption, Volume 1, is on the incarnation. It works step by step through key writings of the early Christian tradition from Irenaeus to Anselm to discern the mystery of the incarnation and the atoning work of Christ becoming formed in us. A wonderful read. 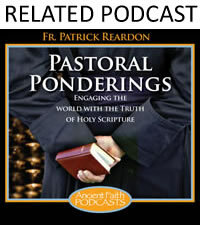 "Patrick Reardon is a gifted polymath given by God to the church catholic—Orthodox, Catholic and Protestant alike. His book Reclaiming the Atonement is a well-conceived and theologically sound interpretation of the central, saving miracle of the Christian faith, namely, the Incarnation of the Word. 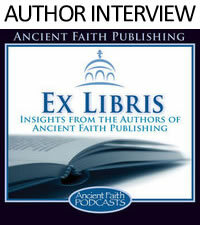 If St. Athanasius were alive today, he would no doubt exclaim Axion (it is worthy)!"